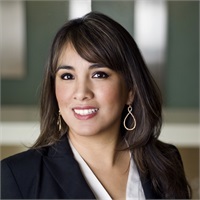 Cristina received her degree in business administration from UTEP in 1999. After enjoying a couple of years at home with her babies, she began her career with Hughes Financial Group 2001. She has worked in several capacities in the last 15 years, she most recently serves as the operations manager for this elite group of advisors. As the operations manager she oversees all aspects of business procedures from client services to new business processing. When she is not working, you can find her hiking one of the Franklin Mountains many trails or taking a weekend camping trip with her boys.